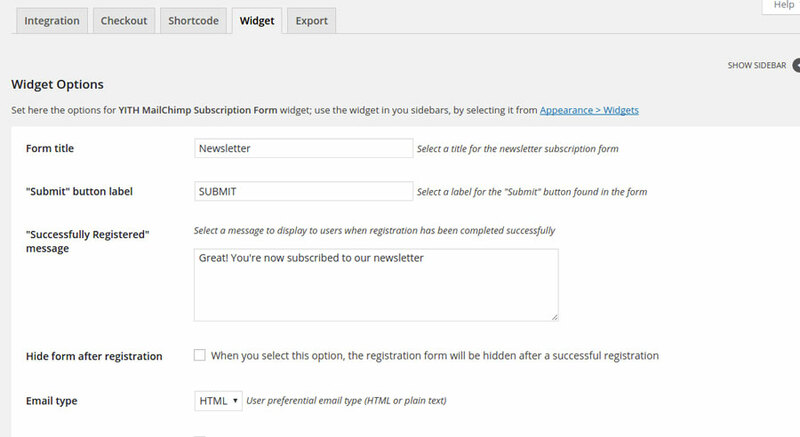 The premium version of the plugin allows to use shortcode and widget to insert the registration form in your site pages. 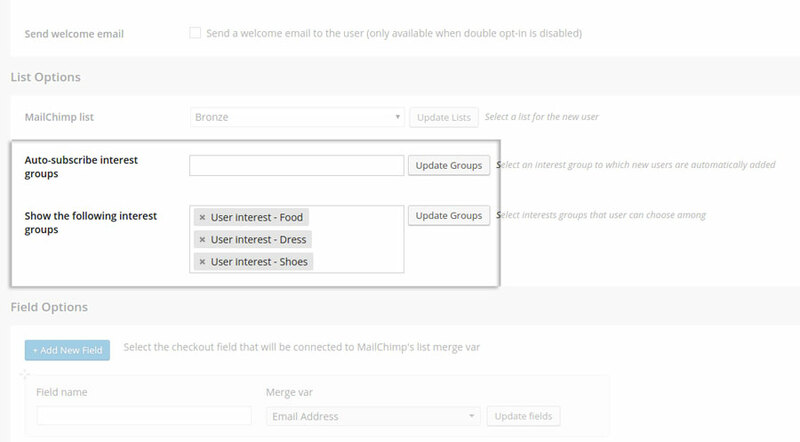 Widget and shortcode refer to two different forms that must be configured in the plugin settings dashboard. 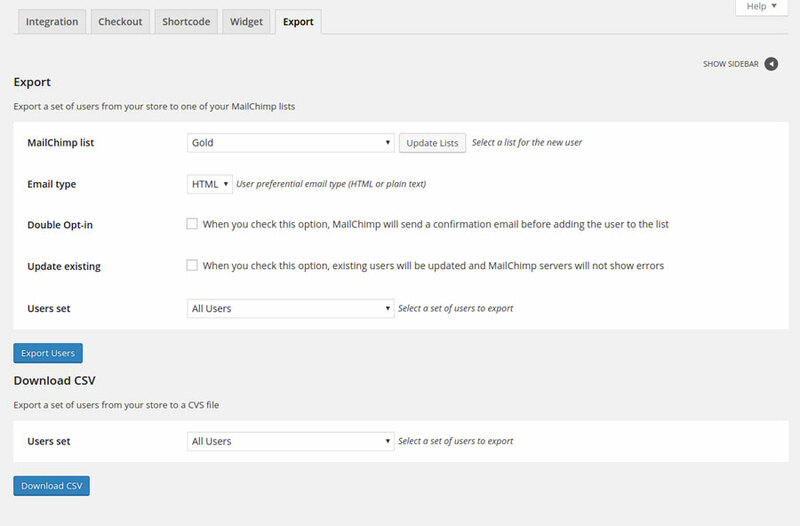 To insert the Mailchimp registration form through shortcode enter [yith_wcmc_subscription_form] in the site page. The configuration options concerning the forms associated to widget and shortcode are the same as the checkout registration form. Therefore we suggest you to follow the instructions already analyzed in this page. An essential note about the interest groups associated to the list (when available). By default, the registration form has only the email field. However, it is possible to add an unlimited number of fields. 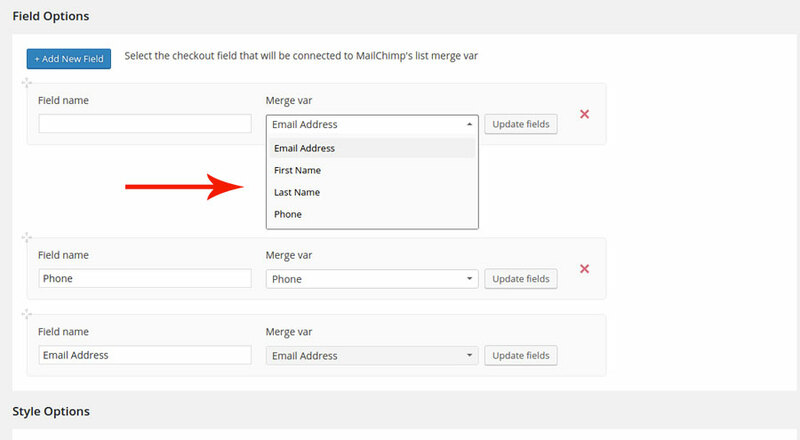 You can insert all the fields you have configured in the “List fields and *|MERGE|* tags” MailChimp section. 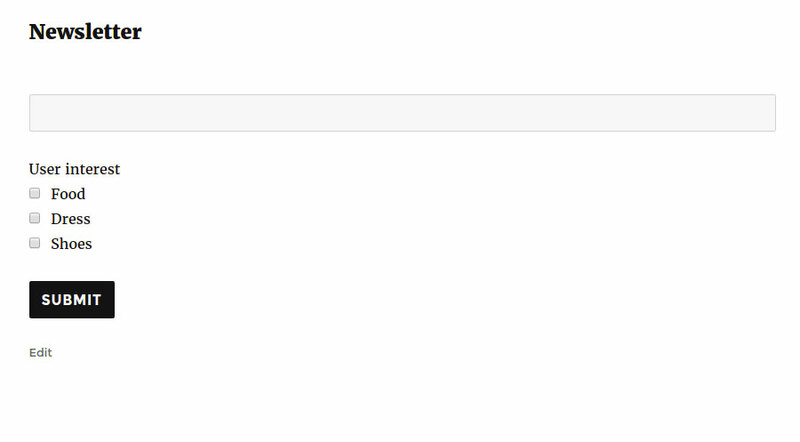 In case you needed to use the attributes of the shortcode, here you find the whole list available for you.